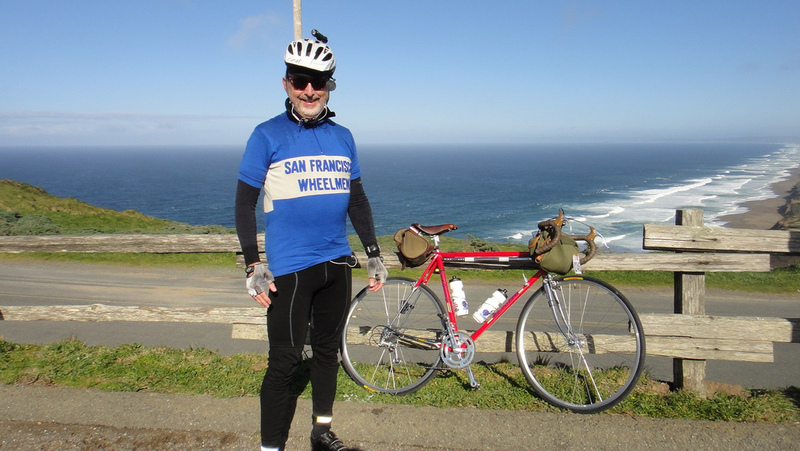 The first ride of the calendar for the San Francisco Randonneurs (SFR) is the Point Reyes/Lighthouse (PRLH) 200k brevet. To me, it’s iconic. It signals the true beginning of the season, even though I have already completed two other brevets. It strikes a bit of fear into my heart and while some shy away from this ride, others lean into it. Saturday was the second time I had committed to it, and so I was up at 4:15 and out the door before 5:00AM to get to the Golden Gate Bridge before the 7:00AM start. The 100 mile drive was by far the easiest point in the day. The PRLH 200k takes you through federal land that’s managed by historic dairy ranches out to the Lighthouse at the end of the road. 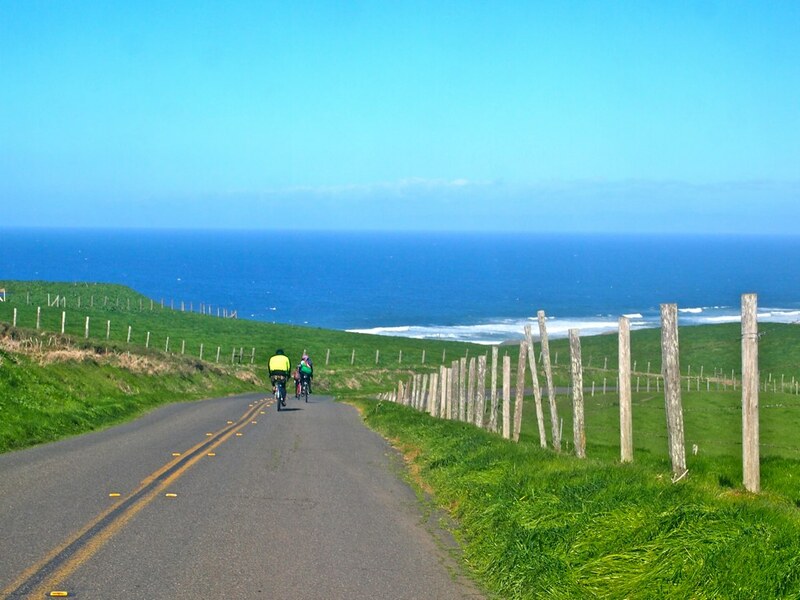 It’s a beautiful ride of rolling green hills with stunning views of the ocean. The road has a number of cattle guards along the way, culminating with some steep climbs towards the Lighthouse, which is the turn around. Once back on Highway 1, you proceed up to Marshall for chowdah or your seafood of choice and then backtrack to the Nicasio Reservoir. 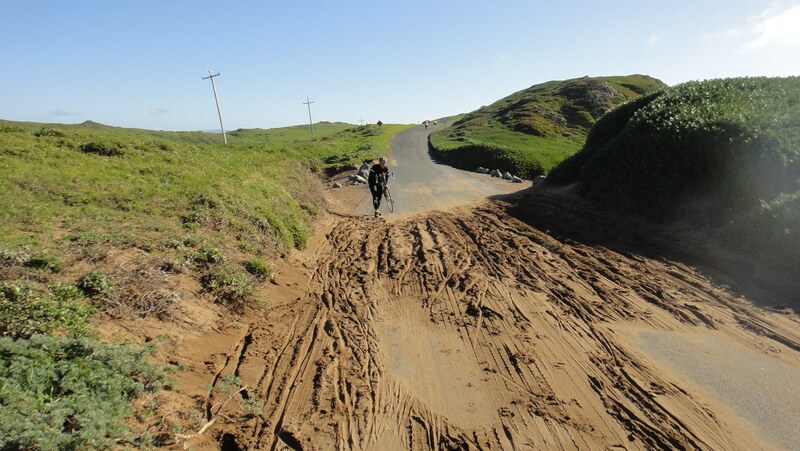 Once at Nicasio, you climb over the last hills to the Bridge, which is how the majority of SFR rides end: up n out of Nicasio, over Camino Alto and then crawl up the final climb out of Sausalito back to the GGB. All told, it’s about 126 miles and 7500 ft. of climbing. 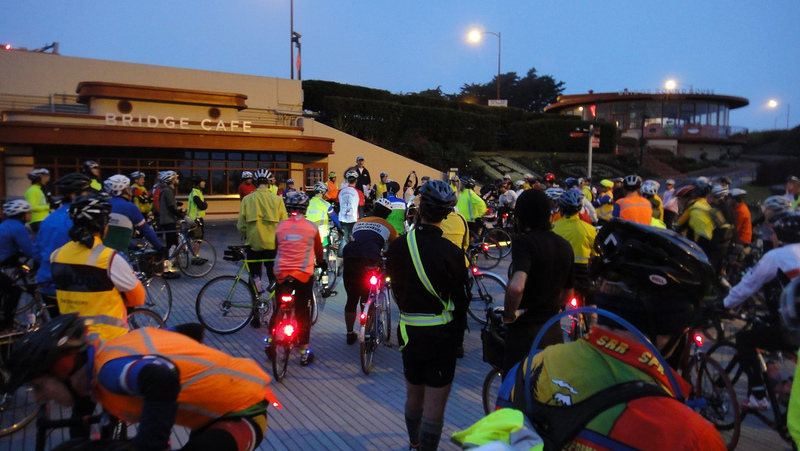 “I…will not do stupid stuff” photo: Eric N.
The ride departs from the Golden Gate Bridge at 7:00 AM promptly after our leader gets us to swear that we “won’t do any stupid stuff.” Just after dawn a hundred plus riders swarm over the bridge with headlights flickering, which seizes me with a sense of joy for the day’s unknown adventure. Yesterday, the clouds were low and I wasn’t sure if I had indeed brought the right layering system. Will it rain or not? 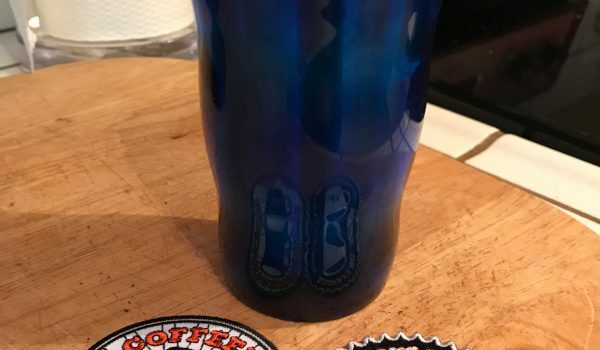 Will I be too cold, or too hot? Did I have enough empty space in my Moots bag to carry whatever it is I’m going to take off, or will I be wrestling with gear? These thoughts dissipate after successfully riding over the bridge and down through Sausalito, and once the group expands, I relax and earnestly enjoy my day. Outbound over GGB. photo: Toshi T.
I’m riding with a rando-pal, Thrill Bill Larson, who is recovering from a cold and isn’t at 100%. 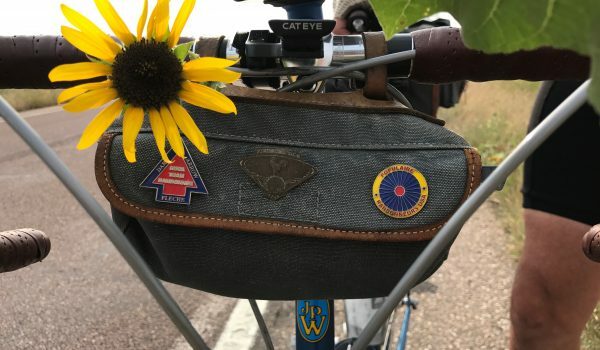 The idea of the brevet is not to race, but to enjoy the day, the scenery and the riders you spend time with along the route, while tracking time and distance around a set course. We make our way through Samuel P. Taylor Park where the pavement is “craptastic”, hoping to not hit a pothole and get either a pinch flat or a broken spoke. Two years ago I did pinch flat here, and we stopped in the sun to fix it. It was 27 degrees and we were freezing. This time it was a clean passage, and the road led us out to Hiway 1 and north to Pt. Reyes Station where we turned to ride the last 19 miles out to the Lighthouse. The clouds have disappeared, the sun is out, and it is shaping up to be a stunning day. I am moving a bit faster than Bill, but in my mind there is a rubber band attached to us that stretches and contracts as we move towards each control, where we will regroup throughout the day. 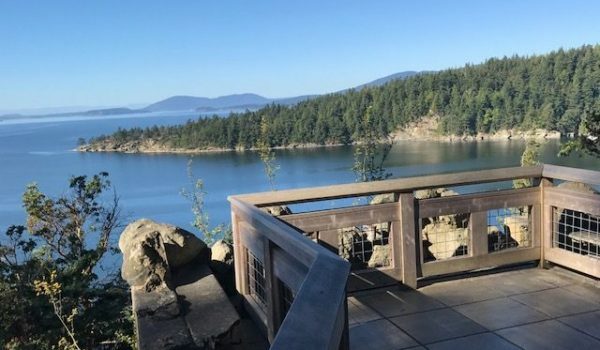 Eric Norris (aka campyonlyguy) catches up to me and we chat about the day, the scenery and our ride plans for this season. He is faster than I, but he waits patiently for me to catch up to him at the top of each hill we crest on our way to the Lighthouse. We cross cattleguards, bad road surfaces and sand, but it is the view that amazes. We reach the Lighthouse together and take it in. Heading out to Pt Reyes. Photo: Mannie A.
Thrill Bill Larson, his lovely Rex (& Rivet! ), with 17 mile beach. 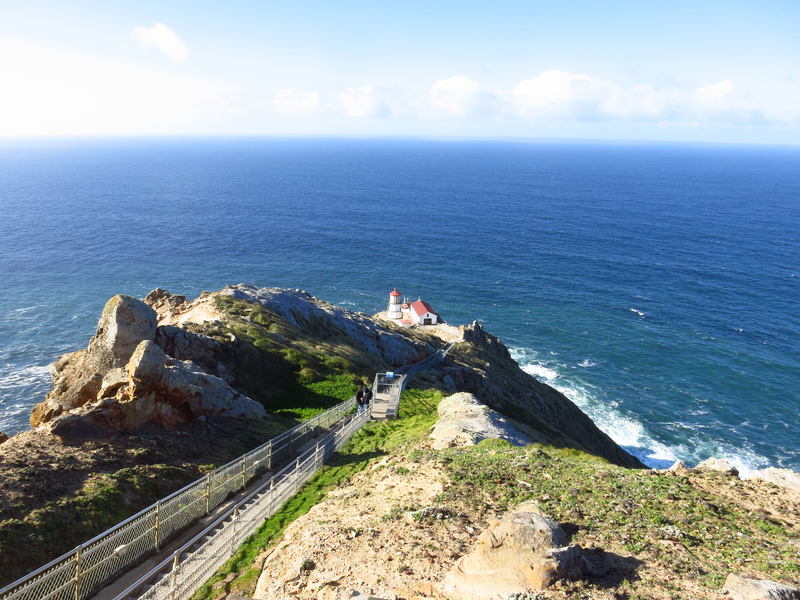 Photo: Eric N.
The Point Reyes Lighthouse. photo: Masa K.
On the return we pass folks who are still on the outbound and everyone waves and smiles in passing. This is one of the great things about the sport – the camaraderie found in riding with folks – saying hello, catching up, and or sending out some witty smack talk, all the while travelling a good distance on two wheels. I am starving and so I pull over for a quick stop at the Inverness market. Eric and Mojo are there, Bill stops too and we sit in the sun for a snack. I am readying myself for the headwind to come. Two years ago when we headed north on Hiway 1 the wind was brutal. Today promises to be the same. The four of us head out together, but I know that once we reach the rollers going north, Mojo and Eric will pull away and they do. Bill is on my wheel and we make our way. The rollers are such that you work to pick up speed going down, swoosh through the curve at the bottom and then do what you can to keep the momentum going, because the wind finds you near the top and you work like hell to get over the hillcrest, fighting the wind so you can pick up momentum for the next downward swoosh. Pedal pedal pedal, swoosh, pedal pedal pedal, grit your teeth over the top into the wind, and swoosh. Repeat. There are miles of these rollers, and while fun at first, they take a toll on my legs. Once past them, the road evens out leaving me in full-on headwind until reaching the Marshall store. My head is down, I’m gritting my teeth, scratching my way north to Marshall, and everyone heading south is upright, and happy, big smiles on their faces…tailwinds are so much more fun. The Marshall store is slammed with bike riders and folks who want a bowl of chowdah or oysters. Bill and I chow down, hang with more rando-buddies, tell war stories of fighting the wind and then depart for the last leg home. The tailwinds do not disappoint. Pedal pedal pedal SWOOSH! Pedal pedal pedal. Smile and repeat. No teeth gritting. No grimacing. You can feel the hand of the wind on your back pushing you forward. We make great time heading back and before we know it, we are in Nicasio. 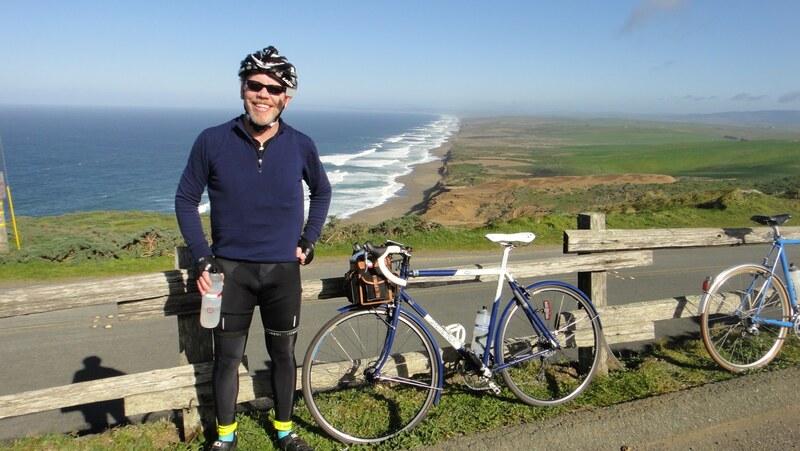 I stop to pee, Bill is behind, but either he will pass and I will catch him, or he’ll see my bike. The rubber band contracts and then stretches. Really? You’d steal someone’s bike from them while they’re in a porta-potty and tell them? That’s harsh. In a nano second, I have thought that if there really was someone out there about to steal my bike, they must really want it. It’s not all that new, but it does have killer pink Chris King hubs. I am almost dressed again, and when I open the door I see Bill. Laughing. Ha ha. 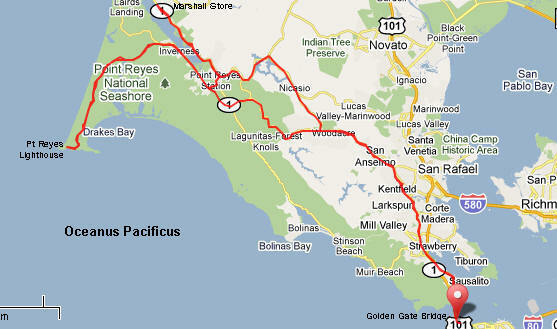 We press on over those last 4 hills, through the chi-chi towns of Ross, San Anselmo, Fairfax and Sausalito. Horses to the barn as they say, and I put a bit of distance between myself and Thrill Bill and John G. who we’ve scooped up, who, it turns out has broken his crank pedaling. John G. is one strong guy, and when he throws his weight around, his SRAM gear crumbles. I get to the Golden Gate Bridge and it looks empty! Typically, it is swarming with riders, and walkers and tourists who more often than not, don’t speak English. It looks to be clear sailing and I am psyched! I now know I have it “in the bag” and as I enter onto the bridge proper, I am thrilled. 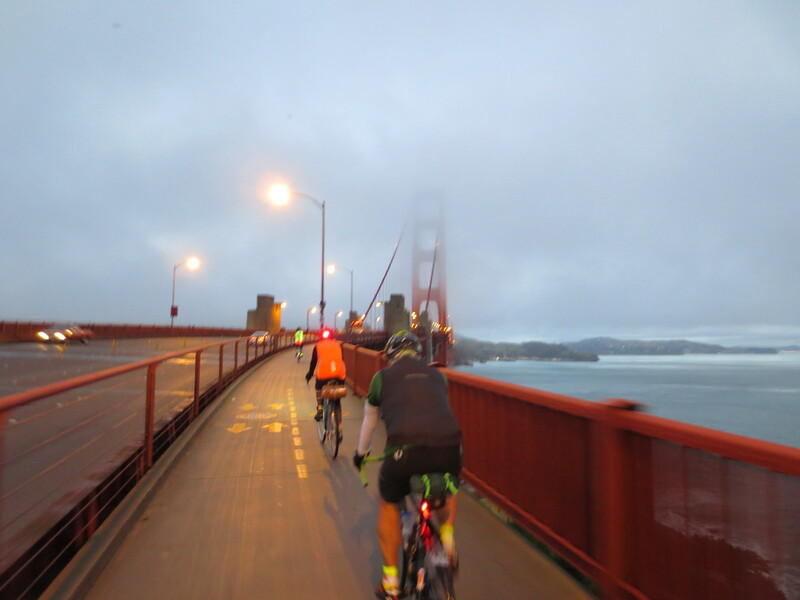 We are so lucky to cross the GGB on the out and in-bound for our brevets. It is magnificent. The big Pacific Ocean is off to our right and the views of San Francisco are spectacular. And the wind. Here, it is at it’s fiercest as it funnels into the bay. The stanchions of the bridge require riders to navigate carefully around them. Slowing down to go around them in this direction turns your wheel directly into the wind in a very narrow area. The first goes by, no problem, and the second one lifts me up and picks me and my bike up and moves me a couple of inches to the right. Below me a tugboat is crossing underneath, heading out into the Pacific for who knows where. The wind on the third stanchion stops me dead in my tracks. I almost don’t get my foot unclipped and am sure I’m going down. I manage to stay upright, and complete crossing. At the finish, SFR rando’s who are already done, are cheering us in, eating and telling stories. It is a great feeling to be a part of this community of riders. Bill and John arrive, Mojo and Eric a few minutes later. We hang, cheer others in, and hear stories, while snarfing chips and Oreos. As the sun goes down, it’s time to warm up and drive that 100 miles home. 2013 is going to be a great year. 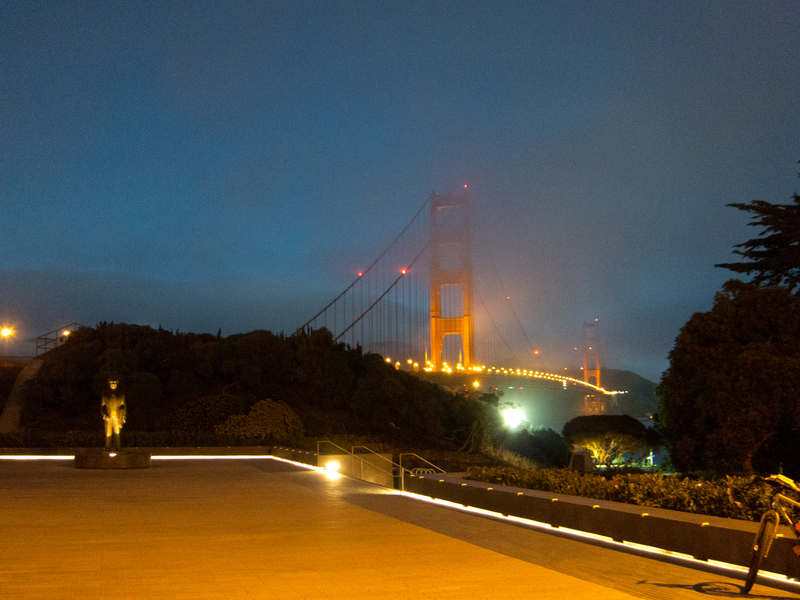 The Straus statue and GGB. Always a welcome site. photo: Toshi T.
Photos are a mix from Eric N., Toshi T., Masa and Mannie Acosta. Thanks all for the brilliant shots. Nice writeup! Wish I could’ve ridden that one….